In yet another such instance, a man carried the body of his three-year-old son on a two-wheeler from a government hospital in Bengaluru to his home. The boy had been knocked down by a vehicle near Karpur Gate in Anekal on Sunday evening and when his father, a migrant labourer from Assam, took him to the Anekal government hospital, he was declared “brought dead”, police said. The father then took back the body on a two-wheeler. A video showing it has gone viral, following which the hospital authorities have come under attack. The hospital authorities have denied any “insensitivity” on their part. They said the parents of the boy had taken the body without the mandatory autopsy. 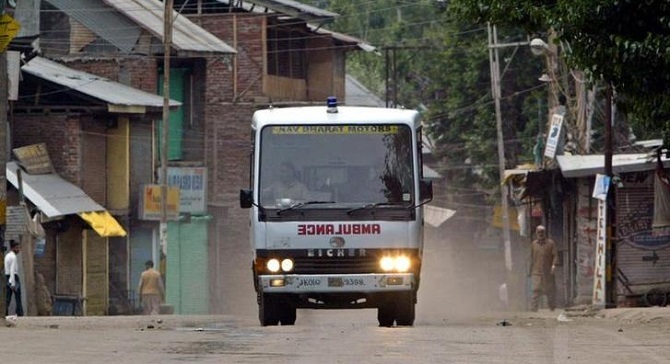 “On getting to know about the incident, we searched for the parents and took the body back to the hospital for the post-mortem examination,” an official of the hospital said. A relative of the boy said they did not ask for the ambulance as they felt it would not be affordable for them. “The doctors said he has died, so we took the body back to our place near Electronics city where we stay. The police came and took away the body for procedures,” said Liton Khan, a relative of the victim. The police said it has registered a case and is looking for the motorist who caused the accident. The members of an official panel, mandated to protect the women and children against violence, however, visited the government hospital and recommended action against the hospital authorities. The incident comes close on the heels of a similar one at Etawah in Uttar Pradesh where a labourer was forced to carry the body of his 15-year-old son over his shoulder after he was allegedly denied help by doctors at a government hospital. The incident brought back the memories of Odisha’s Dana Majhi, who had to carry his dead wife on his back last year after he was allegedly denied a hearse by a hospital.